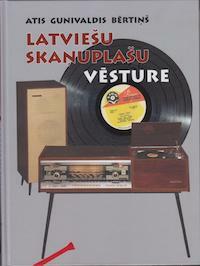 Author and LP collector Atis Gunivaldis Bērtiņš has released the second volume in his history of Latvian LP recordings, Latviešu skaņuplašu vesture (SIA Vesta-LK, 2017, ISBN 978-9934-511-26-4, 327 pages). The first volume, published in 2015, covered the years up until 1945, and this volume continues until the present day. This volume offers an extensive history and discography, and covers both records released in Latvia, as well as internationally by diaspora communities during that time. There are brief biographies of notable composers such as Raimonds Pauls, Uldis Stabulnieks and Zigmārs Liepiņš and artists such as Jānis Zābers, Jānis Sproģis and Andrejs Lihtenbergs. The section on diaspora artists and groups is extensively researched. Besides including well-known groups such as Čikāgas piecīši and Trīs no Pārdaugavas, there are also sections on, for example, the Daugavas vanagi men’s choir in Canada, the men’s double quartet Tēvija, Australian singer Velta Skujiņa, the Hamilton dance group Runči, among many, many others. 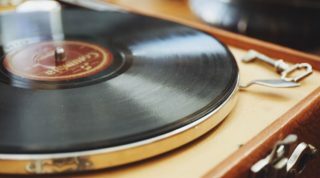 There is also information about the many different diaspora record labels, with the most prolific producer of records being ‘Latvian Music’ in Sweden, who released 55 long playing records and 19 extended play records.